Private Enterprise | CDG Engineers & Associates, Inc. Whether it’s finding a cost-effective solution to bring an industry back into compliance following a change in regulations, or keeping new site work on schedule for time-crunched commercial developers, CDG is the engineering partner that can help you maintain competitive momentum. Stay ahead of ever-changing regulations, avoid litigation and protect your productivity and reputation. In a market where regulations change frequently, CDG will guide you through this ever-changing regulatory climate to help you protect the environment, your business and your peace of mind. Find an advocate for industry. Industrial operations employ thousands of people in the Southeast. At CDG, we recognize that thriving industry is a vital part of a healthy economy. CDG tracks pending regulatory changes and acts as a liaison between the regulatory community and our industrial clients to help them prepare to meet new regulations. CDG is the responsive consultant to bridge innovation, industry and sustainability. At CDG, we share your commitment to stewardship of resources and the environment. Industries can rely on CDG for engineering answers that are effective, economical and environmentally sound. Developers grow communities, and for more than 70 years, CDG has helped them do it. In the Southeast, we are a team of responsive engineers and environmental consultants helping growth-minded developers achieve profitability, compliance and speed. Get to market without delay. In all private enterprise, time is money — but that’s especially true when you’re developing commercial property. Your goal is to get permitted and get to work as quickly as possible. From the initial environmental site assessment to surveying, civil/site development, geotechnical and construction services, CDG’s robust in-house capabilities give us more flexibility and control to streamline the schedule of your project. Stay ahead of ever-changing regulations, avoid litigation and protect your productivity and reputation. In a market where regulations change frequently, CDG will work efficiently to help you protect the environment, your business and your peace of mind. Industrial and commercial operations employ thousands of people in the Southeast. At CDG, we recognize that thriving industry is a vital part of a healthy economy. CDG tracks pending regulatory changes to advocate against regulator overreach and help prepare our industrial clients to meet new regulations. CDG is the responsive consultant to bridge innovation, industry and sustainability. At CDG, we share your commitment to good stewardship of resources and the environment. Industries can rely on CDG for engineering answers that are effective, economical and environmentally sound. At CDG, we are committed to building a higher quality of life for people today, and a more viable future for generations of tomorrow. Read the stories below to see why CDG is the consultant of choice for private enterprise. “CDG‘s staff is knowledgeable of the environmental regulations and permits that apply to Progress Rail. They are reactive to our calls, work well through our in-house environmental and safety system, and are very efficient and economical. 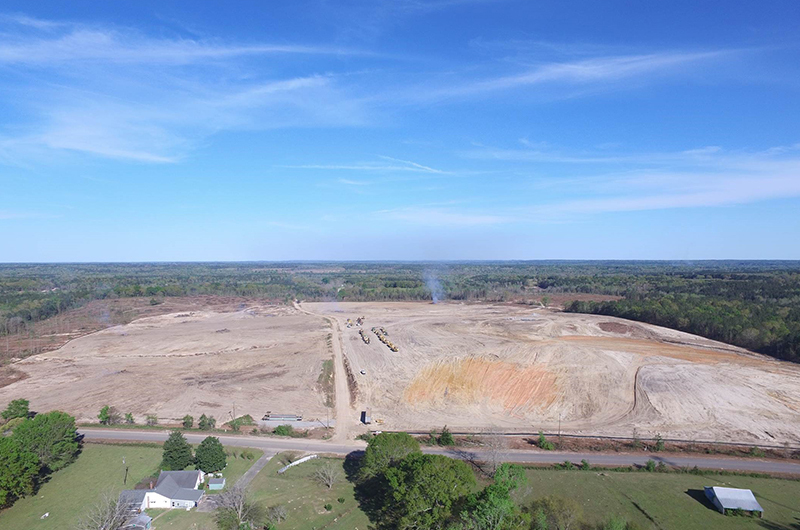 We continue to use CDG because they know how to prepare plans and specifications that comply with the regulatory agencies for our facilities throughout the Southeast."